Discussion in 'Operating Systems' started by Extraordinary, Nov 8, 2018. Amazon is releasing its Alexa app for Windows 10 today. While the app has been available on select Windows 10 laptops recently, today marks its launch in the Microsoft Store for all Windows 10 PCs. You can download and install it on any Windows 10 PC, but only compatible devices will support Alexa wake word functionality. If you don’t have a compatible PC then you can hit the button within the app to speak to Alexa, or invoke the assistant using a keyboard shortcut. Amazon’s Alexa app for Windows 10 comes just months after Microsoft and Amazon released a preview of Cortana and Alexa integration. 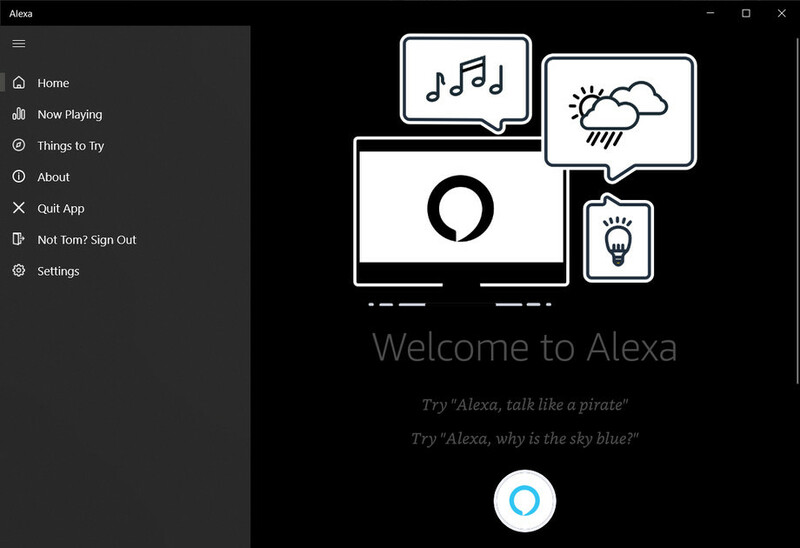 The preview lets Cortana users access Alexa, and vice versa. The integration is a little clunky, so this official Alexa app for Windows 10 will probably be a better choice for those who want to access Amazon’s digital assistant from a laptop or PC. Microsoft’s partnership with Amazon also saw Alexa support for the company’s Xbox One console recently. I guess the day is not far when Alexa will say "Hey Cortana, you're fired!" I'd joke about Edge too but you can use it to download the Chrome installer already. KissSh0t, lmimmfn and Alessio1989 like this.